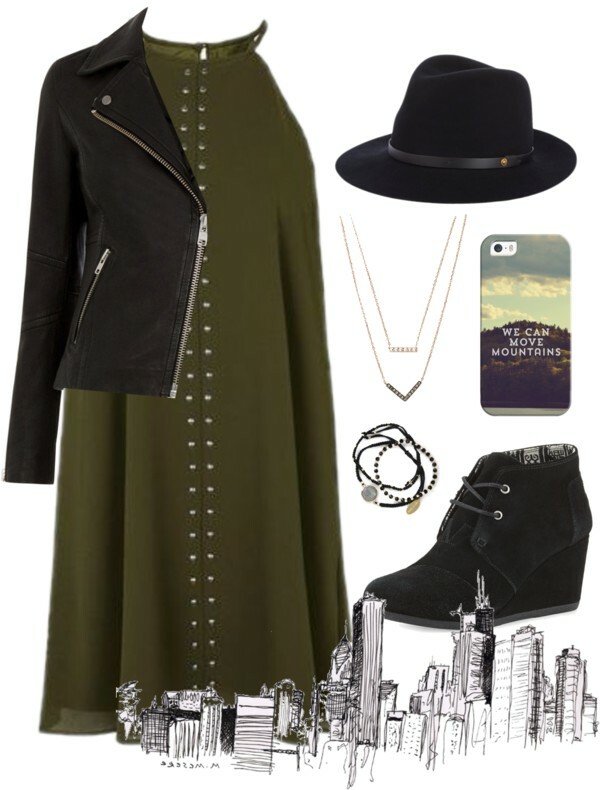 For this outfit, a dark evergreen swing dress with buttons down the center was a perfect piece with a matte black leather jacket. A fedora hat is added as I believe its the perfect accessory to a swing dress, along with black wedged booties to complete the look. A scenic phone case is added to give more character to the look along with layering of multiple jewelry pieces.